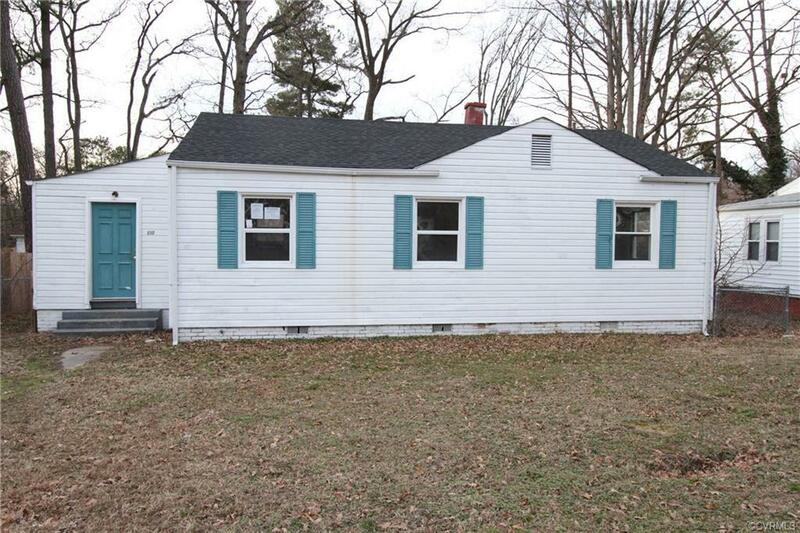 This lovely rancher, priced $21,900 BELOW assessed value, offers a good amount of space for a first-time home buyer or anyone eager to downsize, and features a generously sized fenced-in rear yard. Beautiful, wood floors line the living room and dining areas and extend seamlessly into the bedrooms. The living room is open and bright, as natural lighting flows effortlessly into this cozy space, creating a warm and inviting glow from the wood floors. Adjacent to the kitchen is a nice size bonus room, that has access to the laundry area and living room. The dining room has a convenient pass through to the kitchen and is highlighted by an open window view of the kitchen, making it easy to stay engaged with family and friends during get-togethers. The wood flooring in the home will really pop nicely after some polishing. The home needs some work, but a coat of fresh paint with, perhaps, some accent walls, will help to bring out its charm and appeal. HUD homes are sold as-is, with no guarantee or warranty by the Seller or Listing Broker. Directions: From Laburnum Ave Take Richmond Henrico Turnpike. Make Right On Fayette Ave. Home Is On The Left.